Click “Install” to install the modules. 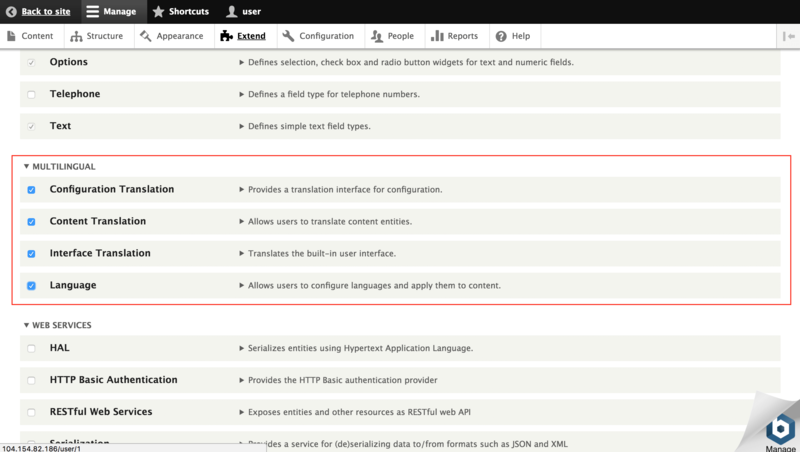 Under the “Configuration” tab, select the “Regional and Language -> Languages” section. Click the “Add language” button. 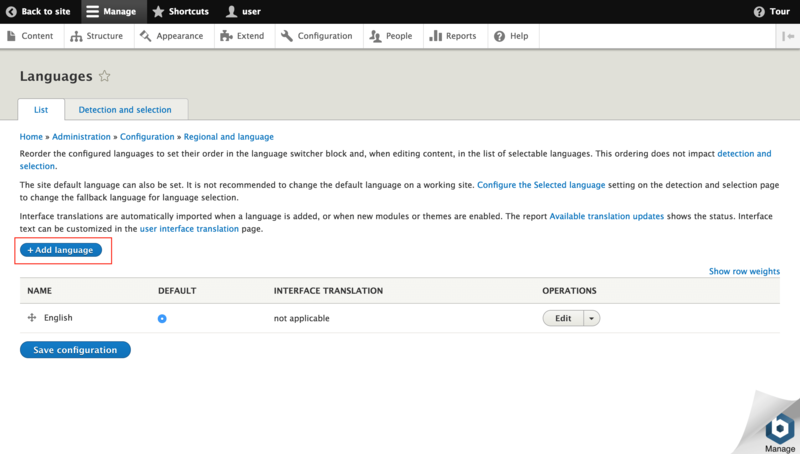 Select the language to be added from the selection list and click the “Add language” button. 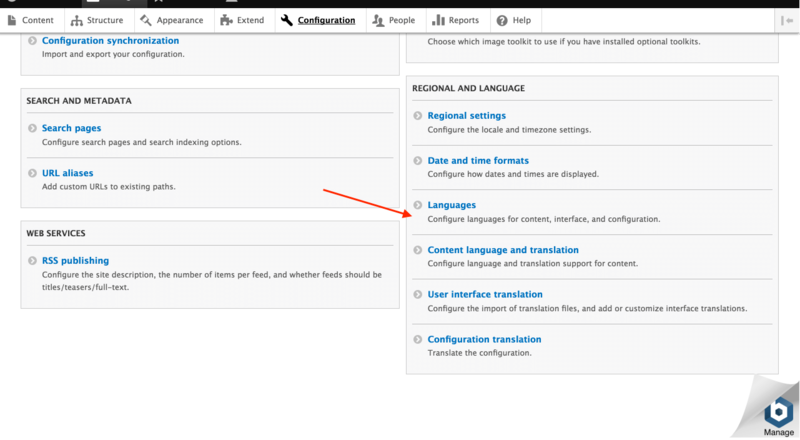 Once the language has been imported, you can use it by selecting it as the default language in the “Regional and Language -> Languages” section. Configuration -> Modules -> Enable Locale module. 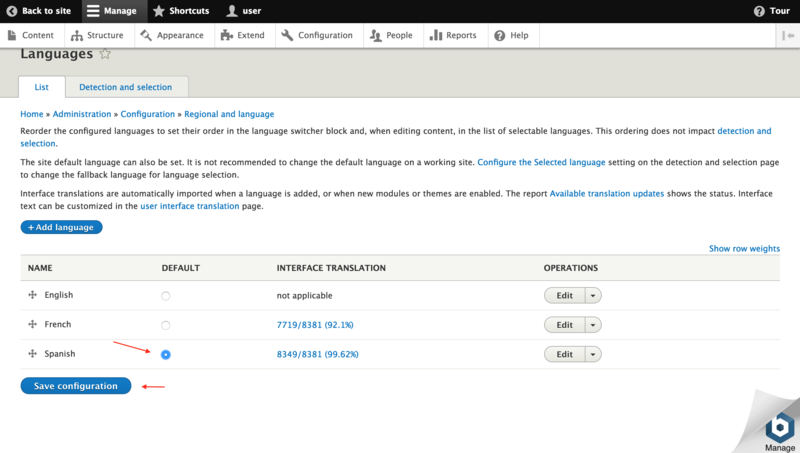 Configuration -> Languages -> Add a Language.